Forgot to post a picture after little Missy’s bath yesterday again with the loveyerdog shampoo. She is looking so good and getting better every day. The smell from the mange has decreased significantly. No need for continuous candle burning.  I forgot to add that I weighed her in at 22lbs last night and she was supposedly 17lbs just over a week ago! Here at Love Yer Dog we believe in what we do. And nothing brings us more happiness then when others believe to. Gracie has came a long way over the past month and a half, healing up a large area of damaged skin thanks to Love Yer Dog. Thank you Sophie Kathy Blackman at Sophie’s Circle for sharing this story with us and for believing in us. Our hearts are full knowing Gracie is doing so well. 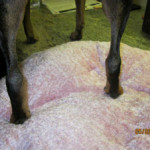 Love Yer Dog Friendly Dog Wash and Hot Spot & Wound Treatment Remedy are prebiotic, organic, and biodegradable. Simple, safe and soap free. 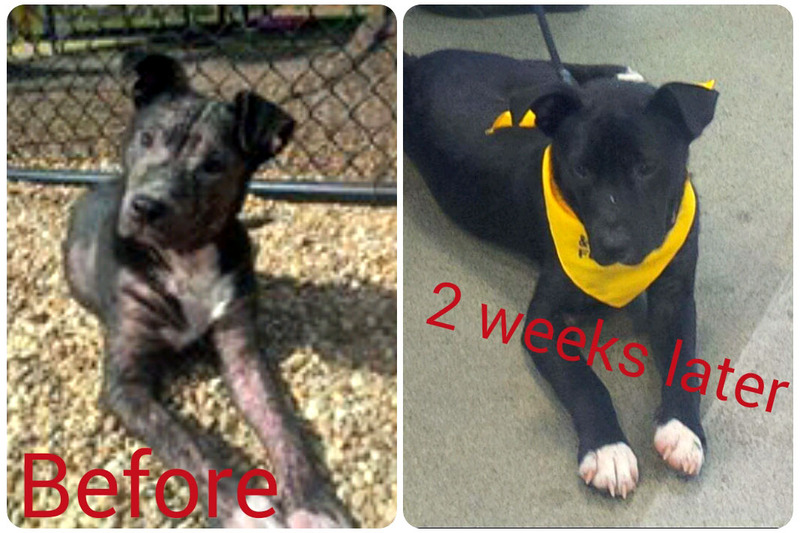 I recently had the pleasure of fostering little Elvis in Jacksonville who was found with severe Demodex. 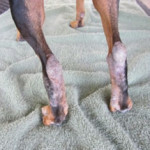 I used Love Yer Dog shampoo 3 times per week and the hot spot spray only once per week. Used in conjunction with medication and his transformation was AMAZING! Just yesterday after 2 and half short weeks he was happily adopted. Thank you for helping him to feel better and look well enough for someone to notice how awesome he is!! You may have heard all about Stimpy, a sweet natured dog whose owner had to surrender him to the Flagler Humane Society due to the costs of treating Stimpy’s allergies and skin issues. Poor Stimpy was so sad 🙁 Well, us folks at Love Yer Dog fell for this sweet labrador / bloodhound mix and stepped in to help treat him to some Friendly Dog Wash and Hot Spot Remedy. After teaming up with the FHS staff, we met with a wonderful volunteer by the name of Ed who took a special interest in helping us help Stimpy. Ed bathed and treated Stimpy three times a week and was amazed by the improvement to Stimpy’s skin and hair condition as well as, his overall demeanor. 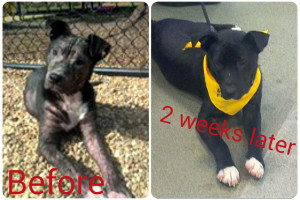 The staff at FHS supported Stimpy’s need for soap-free, chemical free dog shampoo and the results were AMAZING! We are happy to announce that a lovely lady by the name of Jane has adopted this sweet dog and reports to us that she and Stimpy are getting along just famously and now Stimpy has “two couches to choose from.” Yay Stimpy! 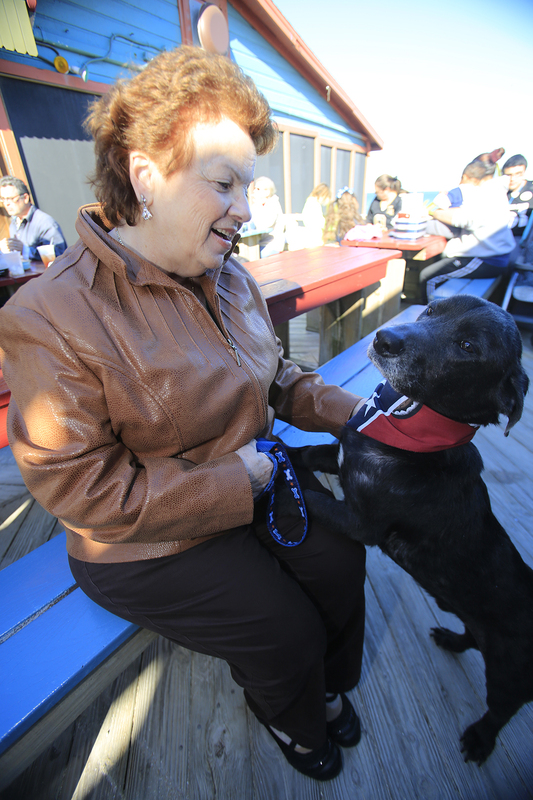 Recently Jane brought Stimpy to a Flagler Humane Society fundraiser at High Tides at Snack Jack in Flagler Beach, and boy was he a happy doggie! 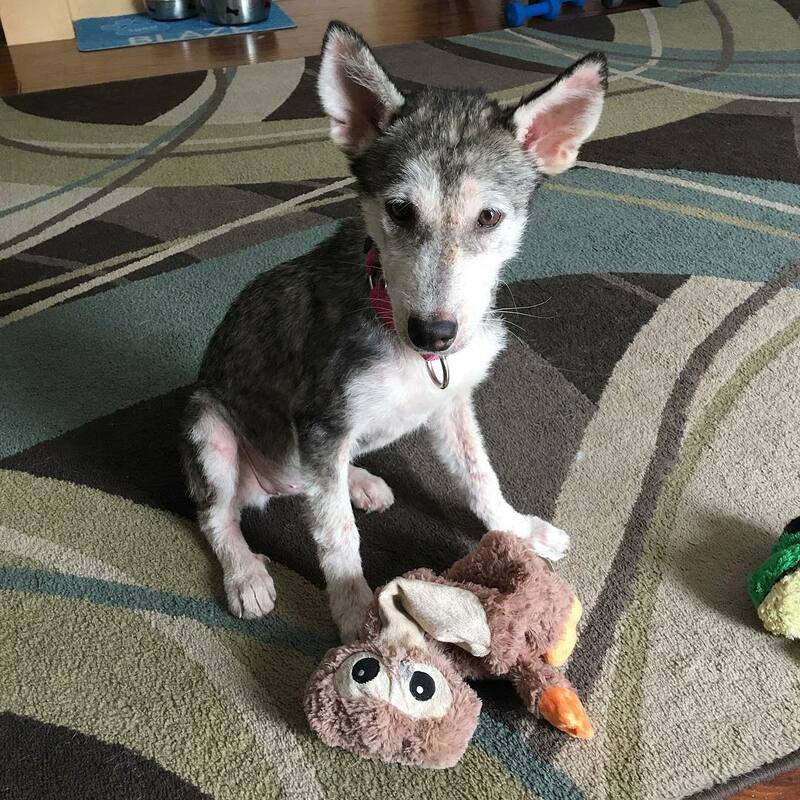 Thank You to Jane for adopting this very special dog! 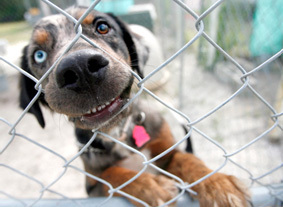 Hope all of you out there will consider adopting a shelter dog, they are the best! 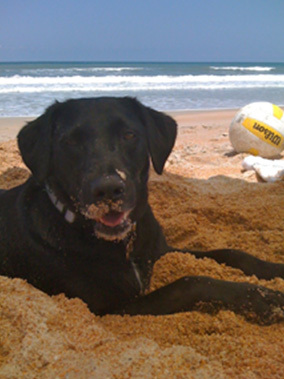 Success story for Stimpy, a Flagler Humane Society dog with a new lease on life! 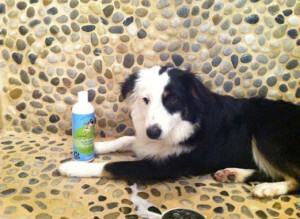 See how Love Yer Dog products have helped this sweet boy recover from hair loss and itchy skin! Oscar (our rescued Catahoula)is allergic to flea bites, grass, pollen, mold and just about everything else. His sensitive skin reacts to harsh chemicals used in ordinary dog shampoos. Love Yer Dog was effective in balancing his irritated skin and reinforced his skin’s defenses. He is now itch free and can go through the season in comfort. I have been using Love Yer Dog shampoo on my rescue lab mix Rocket for months. 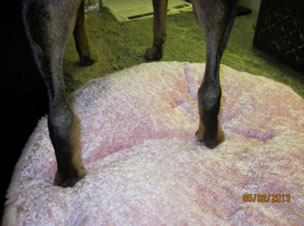 Rocket had hot spots on her legs and it was always difficult to bath her due to her dry skin and itchiness. Now I can bath her as many times as I want and her skin appears to not itch any longer. Rocket’s hot spots have also gone away. 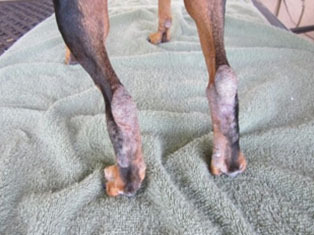 The Love Yer Dog spray also helps on any of my dogs, when they start itching and appear to be irritated.